I had been meaning to pick up Dynasty Warriors Gundam 3, but it got hard to find. For a while people were asking outrageous prices. The prices have finally come down. I was considering getting it when a bunch of reviews for Gundam Reborn started showing up. I found it interesting that many of them seemed to say the same thing. On the negative side, the game was repetitive and the environments were unimpressive. Well, yeah, it’s a Dynasty Warriors game. 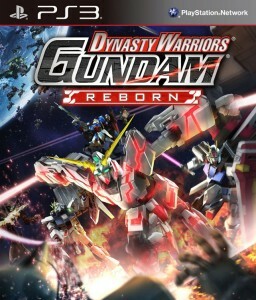 They also said it was the best of the Gundam games and surprisingly addictive. It’s been a while since I’ve played a DW game, and it’s time to scratch that itch. However, there doesn’t appear to be a physical release in North America. You can grab it from the Playstation digital store. If you need a disk, you can always import it from Play-Asia. I just need to decide whether to grab it now or wait for a sale.